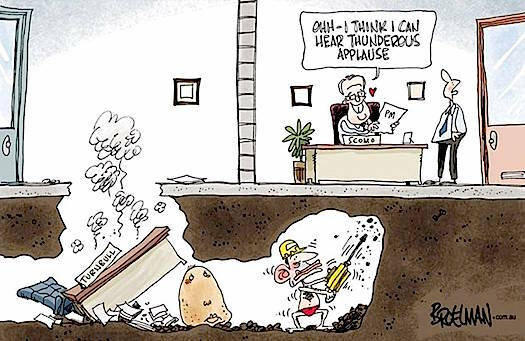 Counting his own stupid government, Turdy Abbott destroyed five governments in his life-time so far. 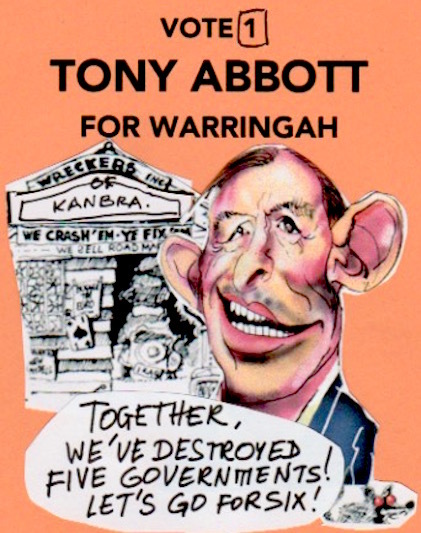 Can we entrust the voters of Warringah to do the right thing and at the next elections vote him OUT for the good of this country? Tony Abbott’s face as he emerged from the party room is the image I can’t get out of my head from the chaos of the past weeks. Defeat had done its work. He was pared back to the bone. His skin looked a mess and his eyes barely focused as he mouthed platitudes about saving the government he’d done his best to wreck. But the final warning by David Marr is clear: We, Australians, could be set to have to suffer this fool, this A B Santamaria mentored rubbish, this spiritual abortion from J W Howard, this glorious excrement supported by Alan Jones, until about 2047. Can we live that long? Could the Warringah voters get him out of the political landscape? Could the fire brigades reject his application of "volunteering" for having set the world on fire? Could someone steal his budgies? Could he do us the favour of a Harold Holt at Palm Beach? Less than a week after confirming she was running for Liberal pre-selection in the Wentworth by-election, Christine Forster has pulled out. Ms Forster — the sister of former prime minister Tony Abbott — made the announcement on social media, saying her candidature had become a "proxy for division" in the party. The seat had been held by Malcolm Turnbull, who resigned from Federal Parliament on Friday, one week after being ousted as prime minister. Ms Forster said she had wanted to "represent and advocate for the people of my local community". "The commentary about my candidacy since then, however, has focused on the suggestion that it was a proxy for division within the Liberal party," her Facebook post read. "That is not the case, but to avoid any such perception, I will be standing aside and giving my full support to the successful candidate." The seat is considered safe Liberal territory, but analysts said it would attract interest amongst potential candidates because it was a prized electorate. The Prime Minister's hand-picked Indigenous advisory council has written to Scott Morrison demanding a meeting and an explanation on the appointment of Tony Abbott as special envoy for Aboriginal affairs. The co-chair of the Prime Minister's advisory council, NPY Women's Council chief executive Andrea Mason, said the first she had heard of the appointment was through the media and she had still not received a briefing from the Government on the appointment. Ms Mason said she had sent a letter to Scott Morrison on Friday last week raising questions and concerns about the "crowded" field in Indigenous affairs. "Absolutely, we as a Council have written to the Prime Minister and really outlined to him the work that we've been doing since 2017, when we as a council were established by the previous prime minister," she told RN Drive. "[We] feel that we've done a lot of substantive work and we're keen not to derail that process. 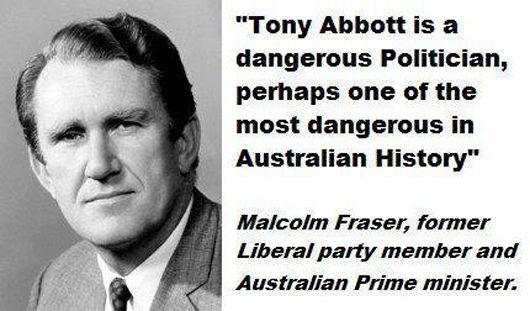 Throw Tony Abbott out of parliament. He's done enough (! — far too much!) damage to this country well-being. Over the past few days a taut and angry social media screed about Tony Abbott’s performance as a local member spread virally through the prosperous suburbs that make up the seat of Warringah, traditionally a Liberal Party safe space. “We are not political. We have never been involved in a movement or a political party. We are just trying to get on with life. But enough is enough. We feel compelled to speak up,” the post begins. Is Gus's campaign hitting the mark? Read from top. A member of the stolen generations will run for Tony Abbott’s seat of Warringah at the upcoming federal election, with the independent vowing to put the environment and Indigenous affairs at the centre of her campaign. Susan Moylan-Coombs, a broadcaster, mental health educator and the founding director of the Indigenous organisation the Gaimaragal Group, announced on Sunday her plans to contest the seat held by Abbott for almost 25 years. The granddaughter of the high-profile public servant and prime ministerial advisor H.C. Coombs, and the daughter of former NSW Bar Association president John Coombs, Moylan-Coombs said she was no stranger to public service. Time to put Turdy Abbott to pasture... And who else to do it but a first Australian, also with the blood of a most venerable but underpraised Aussie — HC “Nugget” Coombs. North Shore, this is your chance to make amend for the crap you have fostered on Australia for a bit too long. 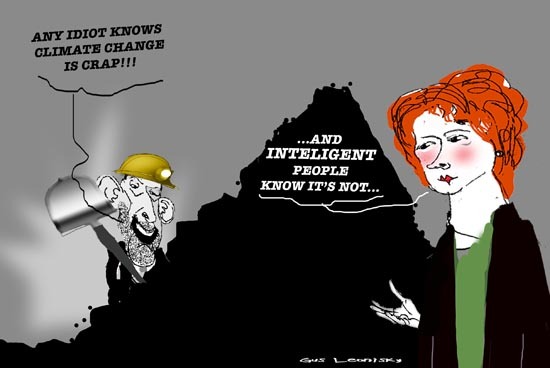 "Tony's been vigorously stupid, that' s why..." Gus can answer this, with confidence. To which we can say with confidence: Rubbish!. Go Zali Steggall. Go Zali! Some are aware that there is a "strong Indigenous female candidate" (Susan Moylan-Coombs) [read from top and see: http://yourdemocracy.net.au/drupal/node/35506] and while her name is not top of mind for them, "she looks interesting". The Labor candidate did not rate a mention across all four groups. 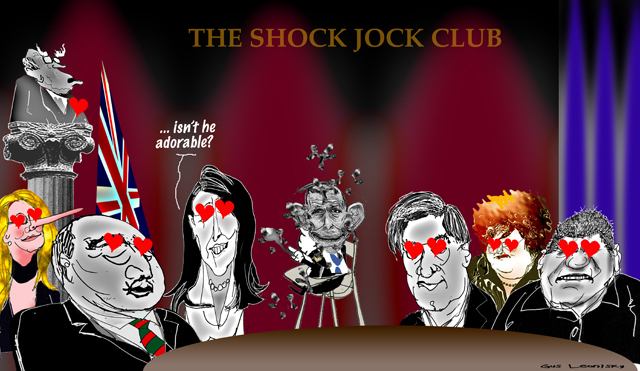 Minor parties such as the Greens and the Liberal Democrats, as well as potential other independent candidates, are also under consideration by some. Older voters are more aware of Ms Steggall, her legal career and her father's local legal practice. The fact she's been an Olympian is a plus for some, indicating discipline; they see her legal qualification as indicating intelligence. A couple of the participants have received direct marketing information from her, making them feel more positive towards her. "She's an independent, she's moderate. Perfect." The assessment from a male business development manager from Balgowlah reflects the ambivalence in some voters' minds: "There is something exciting about her, and she's different, but you can't have that trust in her because there's no track record there, so you're really just taking a leap of faith". 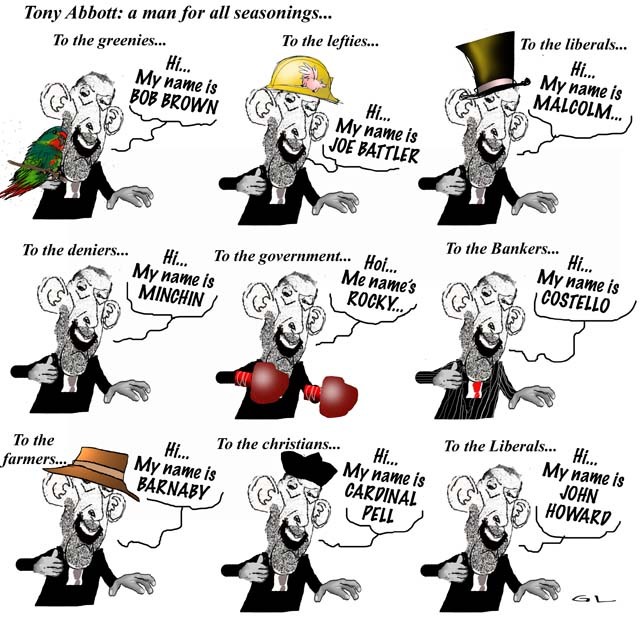 Obviously, the dorky daggy turdy toilet promoter Abbott should get out more. Help him discover the real world out there. Throw him out of the Kanbra bubble. Don't vote for him. They included reporting on alleged ties between Steggall’s campaign and GetUp, and a front-page story about the outrage Steggall’s former husband and his second wife felt about Steggall’s posts on social media. Northern beaches folk are not big readers of the Tele, many preferring another News Corp publication, the Manly Daily, or the Sydney Morning Herald. The Greens candidate, Kristyn Glanville, said she had received multiple reports of Telegraphs arriving unsolicited. Read from top (note date of posting).